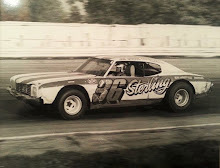 Fairbury, Ill. (July 23, 1977) - From the drop of the green flag to the waving of the checkered flag, Dave Price of Leroy was in the lead for all 40 laps of the mid-season championship race for the six-cylinders at the Fairbury Legion Speedway. Price sat on the pole for the feature and from there he put his Camaro into the lead for the mid-season crown. Ron Starks repeatedly challenged Price for the number one spot, but Dave stayed down and didn't give Ron any mistakes to take advantage of. Right behind Starks was Shorty Kalkwarf of Minonk to take over should either Price or Starks give up the lead. Sam Lee stayed in the number four spot pushing very hard to get his “Green Weenie” to the front to no avail. Lee started off the night in dazzling style by being fastest qualifier with a 17:50 time. He then came back and won the trophy dash from start to finish over Ron Starks of Graymont. Larry Smith finished in the number five spot of the feature after putting his car on the backstretch wall. After a quick oil change, he was ready to run the full 40 laps. Also still running after the 40 laps were John Maubach of Gridley in sixth place, Jim Wright of Danville in seventh, Dan Mehrkans of Bloomington eighth, Gary Ricketts of Fairbury ninth, and Robin Bohm of Pontiac tenth. Ronnie Ricketts of Fairbury did a double take by winning his heat race over Bob Walters of Dwight, then coming back and winning the consolation race over Bob Morgan of Streator. Gary Osterman of Minonk also was a heat winner over Dan Shutter of Bradley, and Jim Wright of Danville won the fast heat race over Dave Price. 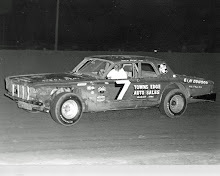 They call him “Highbanks”, and it was from there that Bob Pierce of Danville won his second late model feature of the season. At the drop of the green Dave Feese got out in front with Jack Tyne close in second. After five laps as Jack was making his move to get under Dave, they both came out of turn four, hooked together and stayed that way all down the front chute. 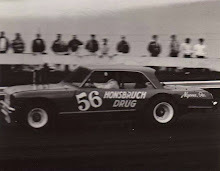 Frank Shickel whizzed by for first place and Bob Pierce was behind him for the second spot. Snooky Dehm of Chatsworth finally finished second by getting by Frank Shickel on the last turn. Tom Myers of Pontiac finished fourth with Sam Lee fifth. Jack Tyne of Streator rounded out the top six places in the eight-cylinder feature. Joe Williams was the fastest qualifier for the night with a 17.21 time. 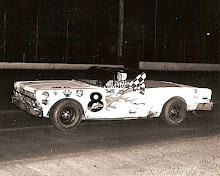 In the trophy dash Bob Pierce finished first with Joe Williams second. John Cox won the consolation race over Bill Wilkey of Dwight. Fred Strube won the fast heat by edging Tom Myers of Pontiac. 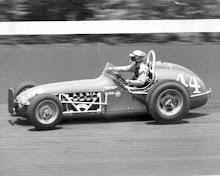 Dave Pleines won his heat and Bob Farley won the other heat race.